Don’t just look at the price, look at the contract and what you are buying? I am continually amazed by the number of people that work hard to get the price reduced for their house purchase but fail to check the contract. We have acted for numerous clients who were not given correct advice and needed our assistance after entering into a contract. We are certainly finding that our clients are learning the hard way that if something seems too good to be true with the house they are buying, it usually is. 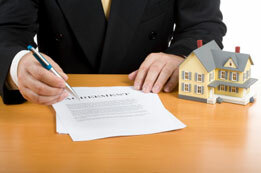 Advice is required for any contract to purchase or sell and the contract must cover what you are buying. You must also know what to do if things go wrong. 1. First home buyers buying a unit that was advertised as including a car space and which the agent stated included a car space. The Purchasers went off what the agent said and did not get legal advice before entering into the contract. That meant that no-one looked at the strata plan and advised them that the strata lot that they were purchasing did not include a car space. Nor were they told that nowhere in the contract was a car space noted as being included. If you are buying property in the inner city, where street parking is often extremely difficult to get, this could have bigger consequences than the annoyance of having to park on the street. And the price should change if there is no car parking space. 2. A couple went to an open house one weekend and instantly fell in love with the property. They noticed some termite damage but decided to raise that after exchange as they didn’t want to miss out on the property. They bought it at auction. They didn’t receive legal advice so did not know that this was an issue that had to be raised and dealt with prior to exchange. Suddenly they were stuck with a property with termite damage and vendors who weren’t willing to (nor required to) enter into any post exchange negotiations. Termite damage may require substantial replacements of parts of the house and we have had experience in matters where such costs exceeded $50,000. 3. Purchasers instructed their Conveyancer that building works had been carried out on the property. The Conveyancer didn’t check whether the building works had been carried out by a licensed builder and were free from defects. They weren’t and the contract was worded such that the purchasers had no recourse. It became their problem. 4. Purchasers bought a property and immediately before completion the dishwasher was removed by the vendors. The dishwasher was not noted as an inclusion but had been built in with matching cupboard front and kickboard and plumbing. They were able to delay completion and got the dishwasher returned. 5. Purchasers bought a property that had been tenanted. The contract included curtains but the curtains belonged to the tenant. The purchasers got the curtains but the vendors had to buy them from their tenant. These are examples of real issues faced by purchasers. Failure to have your conveyancing done correctly in the first instance often leads to expensive problems after you own the property or after you are in a contract to buy the property. Sometimes it’s too late to do anything about it. In many cases clients have come to us as they have not taken the time at the outset to get advice on the contract before exchange, thinking “it’s just a simple house, why do I need it?” or “I did not think that much was involved”. The problem being that it may be too late and then there is an issue that costs a lot to fix. For most people buying a property is the biggest purchase they will ever make in their life, with a first home often costing between $400,000 to $500,000. A good Conveyancer will make sure your interests are protected and the Contract for Sale accurately reflects all the negotiations. You should never rely on verbal assertions. Most Contracts expressly exclude verbal assertions. Your Contract must reflect everything that you thought was included. The only way for this to happen is if you understand the Contract before you enter into it. Make sure your big purchases are protected!